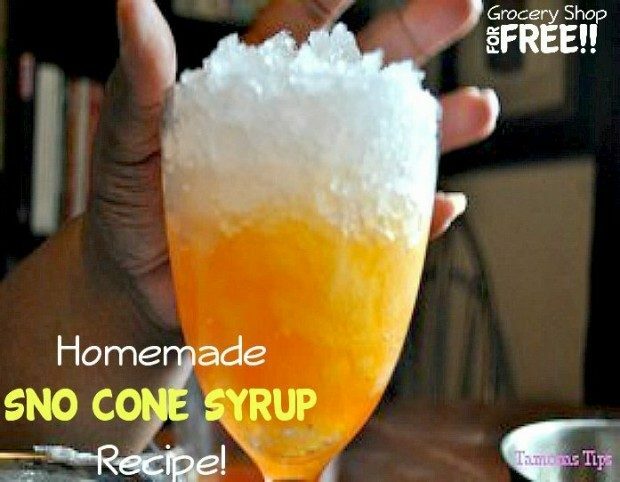 You are here: Home / Recipes / Dessert / Homemade Sno Cone Syrup Recipe! T’s back with another great tip! 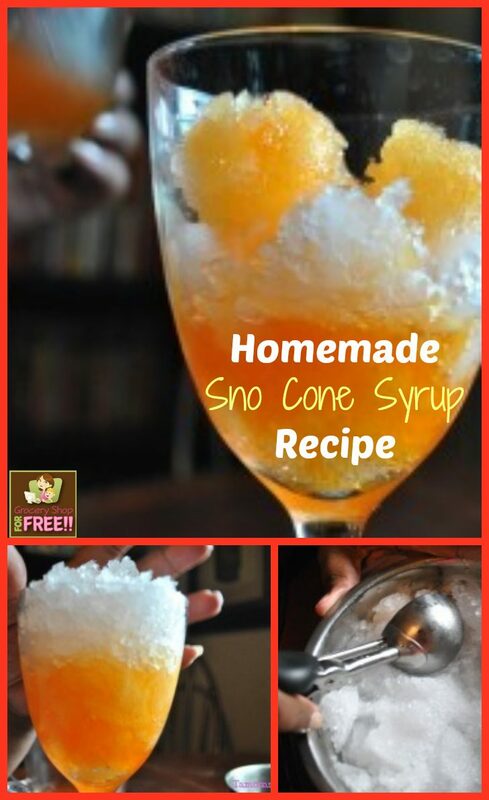 How To Make Homemade Shaved Ice or Sno Cone Syrup! In a saucepan, add 2 cups of sugar and 1 cup of water. Heat on medium heat until the sugar and water are a clear syrup. While your sugar melts, go ahead and crush your ice. When you are done, put plastic wrap over the ice and put it in the freezer. When the syrup is done, add one package of Kool-Aid! Simply stir the pockets of Kool-Aid and mash them on the side of the bowl to help it dissolve. You want this syrup to cool completely.